My name is Evanna Hu. "I knew one sentence when I came to the US, which was, 'What's for breakfast?'" Today, Evanna Hu is 22 years old and the co-founder of a tech startup for developing countries. Thirteen years ago, she was a little girl living with her family in Wuhan in central China. Then her father, a professor, got an offer to teach in America. "My dad got a postdoctoral researcher position at Ohio State University," she remembers. "We flew via Detroit and got stranded there because the last flight from Detroit to Columbus was delayed for a couple of days. We landed and stayed at a hotel, so that was our first taste of America." Hu is CEO of gMaarifa, a company that provides low-cost education and training platforms for mobile phones. She travels to many countries, but feels strong connections to America and recently moved to Chicago. 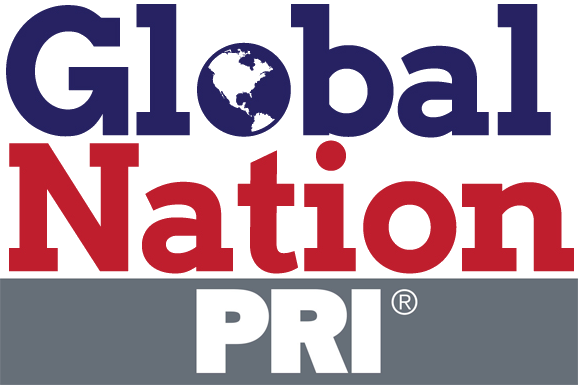 She spoke to PRI's Global Nation desk about her first days in the US. This is an edited transcript of the interview. What was it like when you moved to the US? We came to Columbus, which was very interesting because it was in a very immigrant-central place, filled with Asians and Africans. We were living right next to a mosque. We heard the call to prayers and we would see a lot of people wearing hijabs and Arab men going in there. The neighborhood was not very safe. A Chinese immigrant had been murdered a couple of months before we got there. We had a swimming pool that was closed down because of sanitation problems. We lived in a small place on a couple of mattresses with furniture we found in a Goodwill dumpster. It wasn't a great place, but it was ours. I really liked it because it was full of immigrants with stories similar to my parents’ story. They were very well educated in their countries, but they came here and realized that none of their degrees were worth anything. They had to start out being waiters and sweeping the floor, and cleaning the toilets at hospitals. At that time, my dad was making $20,000 a year. My mom, who has a degree in organic chemistry, was working as a waitress and salad chopper at a local restaurant. For a family of three around that time, we were right at the poverty line. I didn't really feel that because I was constantly surrounded by other immigrant kids and we were all poor. What did you think the US would be like before you arrived? "America has roads filled with chocolate." That's what my mom told me [in China] before we moved, because she knew I liked chocolate. In China, you couldn't find chocolate. All the chocolate was imported by people traveling into China. To eat real chocolate was a big thing. In the end, once we got to the US, my parents were very realistic about the move. I think it was because they were so busy trying to make ends meet that they didn't make the effort or have the time to sugarcoat anything. There was a lot of emphasis on explaining: "Look, we moved away from a pretty plush childhood in China so that you can be in the States. You have to know that and value your education, and try to be integrated into American society and realize that there's no free lunch. The move wasn't a shock. In China, even if you did live a plush lifestyle back then, you were still pretty poor, but you just didn't feel it because everyone was poor. The school I went to [in Columbus] was also poor. It wasn't until I got to middle school and there were people from other districts that I realized, "Oh, it's actually not normal to have just one pair of long pants, one pair of long track pants, and one pair of shorts. Most people have five pairs of jeans." How were your first days in the US? It was hard. I knew one sentence when I came to the US, which was, "What's for breakfast?" After that, the next five words took me three days to memorize. They were "crayon," "computer," "chair," "desk" and "pencil." Right before I went to school, we had to take this exam to make sure we didn't have any learning disabilities. My mom told me, "If they give you 26 blanks, you put pinyin." [Pinyin is phonetic transcriptions of Chinese characters.] I didn’t even know the Latin alphabet. I passed the math section. I think I got 10 percent on the English sections. I went to ESL for a year and then decided I wasn't going to go. They pulled you from your science and social studies classes. For the longest time, I didn't know American history. I remember that I had to do this report on the Boston Tea Party in fourth grade, and I had skipped all of the social studies, so I had no idea what the Boston Tea Party was. But the hardest part for me was the presentation component of a report. You had to stand in front of the whole class. I had a hard time saying the words "Philadelphia" and "Pennsylvania." At the same time, I had a fourth grade teacher who was terrible with international kids. They rearranged the chairs and desks every 9 to 10 weeks. She would always alienate the six international kids by putting us in a corner by ourselves, facing away from the blackboard. As a child, I felt like I hated her. I learned English through immersion and a lot of memorization. I loved the library and my mom used to go and pick out nonfiction books. She loved a series of books called "What Your Third Grader Needs to Know." I would literally memorize long passages from the book. What advice would you give to other immigrants? I think there have been a lot of social commentaries and stories about how it's harder now for immigrants to be integrated into American society. But I think, ultimately, America still gives you a lot of opportunities. I was 14 when I got into Ohio politics. It was right before the primaries for Barack Obama. I saw Obama's speech at the Democratic National Committee. I thought, "Oh my gosh, he's going to be the next president." And so when he announced he wanted to run [for president], I rushed out [to the campaign office]. I took my mom with me and had her drive me out to volunteer. My mom asked, "What are you doing? We're not Americans. We can't even vote!" They were so happy that a young immigrant kid was so excited about volunteering that they let me tag along with someone who was older. I just went out there and said, "I want to be involved." And that's a part of the American spirit, I guess.